Digital marketing jobs are one of the trending jobs since the evolution of the internet. Millions of people around the world work as a digital marketer or work for companies related to digital marketing. The greatest thing about digital marketing is, it’s the only field that provides a definite opportunity for freelancers to earn money online. Digital marketing is the first choice for people who have dreams to start their own business. Because it’s very easy, suits beginners, free courses & books available to learn, no investment needed and it goes on. So, start your freelance digital marketing career today to make your dreams come true. Though there are digital marketing jobs available on companies, it’s wise to use digital marketing skills as a freelancer. Because freelancing will help you to unleash the earning capability. Even if the job security is the greatest concern, the money you can generate as a freelance digital marketer will be unimaginable. You can earn thousands of dollars every month. Experts earn six-figure income starting their own digital marketing agencies. This article will guide you to learn what is digital marketing in basic, areas of digital marketing, how to find freelance digital marketing jobs and how to grow to start your own digital marketing agency that can change your life completely. Digital marketing is the process of marketing products & services using digital technologies. Since 90’s digital marketing has started to grow and today it is one of the important requirement to run businesses. Digital marketing includes internet advertising, social media marketing, phone marketing, market analysis, e-commerce marketing, conversion reporting, lead generation, big data analytics etc. These are some of the categories of digital marketing processes that help the businesses to reach the potential customers and increase the growth rate. Digital marketing is simple yet the most powerful tool that helps to maintain an ecosystem. It is important for both online and offline business, but there is no online business without digital marketing. Digital marketing grows along with other technologies, it’s important for digital marketers and the business to sustain the intense competition. Before reading why digital marketing jobs are one of the best in the IT industry, it’s better to know what’s the main reason for joblessness/unemployment. Technology is the best friend of human and so do the enemy. One of the main focus of technology development is automation. The upside of automation is to enhance the life of the people by reducing the burden of manual work. At the same time, the downside of automation is cutting labor cost. In simple, when the computers can do the things that can be done only by human intelligence, there needs no human assistance to get the job done. This is the main reason why so many people lose their jobs. Companies and industries cut the labor cost by automating their processes using artificial intelligence. In the case of businesses, when the companies don’t get contract/projects, they will run out of business. Initially, the first recovery process will be the layoff and the final decision would be shutting down all the process of the company. While there are people enjoying the automation, it’s going to be a nightmare for them in the future. Let me give you a simple example of how automation is going to affect the travel industry. Nowadays, the cab drivers are operating the taxis to help people move around and it is the source of income. But, in the future, it’s going to be corporate companies who are going to control taxis using the automatic system. The robots will drive cars, not humans. So, corporate companies earn more and more, working people will strive to make money. Coming back to our topic about digital marketing jobs, will automation affect it? The answer will be 30% yes and 70% No. Mostly marketing needs the help of human intelligence to make a business shine. Even if the computers will be a part of it to help to process the human input, it’s the human intelligence going to be the main role in marketing. So, people in the digital marketing field do not have to worry about their future but beware of intense competition. So, start your career as a digital marketer today and be a part in growth along with millions around the world. As said in the beginning part of the article, the digital marketing jobs work great for freelancers to work from home. There are tons of online digital marketing jobs available on the internet for the beginners to the experts. There are several sections available in digital marketing few requires expertise while few don’t. For example, managing SEO processes of a web property as a whole require sufficient knowledge while the part of it content marketing doesn’t seem to be hard. It’s how we choose to work in the digital marketing field determines success. To really achieve the goals, it is recommended to start with what you know rather getting stuck with things you don’t know. As the days pass, you will automatically learn the process of digital marketing which will help you to cover wider areas. Online digital marketing jobs do not require any investment. All you need is a PC with internet connection to carry on. Sometimes proper tools are required to do digital marketing. Don’t you worry about this, since there are plenty of free and freemium tools are available on the internet. This article is just about guiding you to find online digital marketing jobs. We’re not going deep into digital marketing which is a vast topic. If you’re a beginner, learn the basics of digital marketing here and if you know about digital marketing, just skip this section. 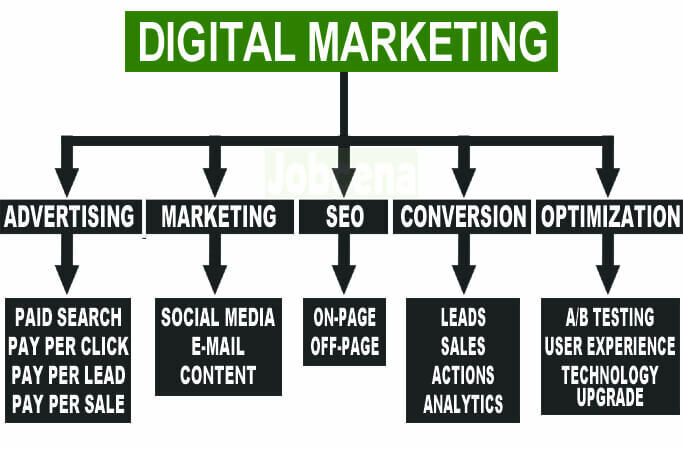 The following chart helps you to understand what is digital marketing in a glance. The advertising is the soul of marketing. Online advertising/Internet advertising is the main category of digital marketing. The activity/process of promoting/advertising a product with the help of the internet is called Online advertising. To make you understand easily, the display ads you see on the websites, the video ads played before watching the YouTube videos are the examples of Online advertising. Advertisers spend billions of dollars on advertising their products and services on the Internet. The digital marketers play an important role in managing the marketing and advertising sections of the advertisers. The paid search is the most preferred online advertising. People search on SE like Google, Ask, Bing, to find the websites and apps relevant to their needs. For example, if a person searches “Buy clothes online”, the list of websites will be displayed where clothes can be purchased. There are two ways web companies can work to get in the top results. The first one is SEO – this is the process of ranking a website in the search results without spending money. The second one is paid search listing – in this process, the website/app owner has to pay money to the search engines to get their website listed in the first place. For every click, the advertiser has to pay money to the SE. The paid search works based on the bidding process. There might be multiple advertisers fight to get their website listed in the top the keyword. Advertisers bid for the position, the website of the highest bidder will get listed in the top of search results. Google is the largest search engine in the world leads in selling paid search ads. The Google Ads is the platform to advertise the products & services on Google search engine. This is the basic how paid search works. Managing the ads of a company in Google ads platform is one of the best digital marketing jobs. The paid search is the part of PPC advertising. PPC refers to pay per click – Advertisers should pay for every click that the websites receive. Display(image banners, HTML banners), text links, interactable videos ads are some of the inventories used in PPC advertising. The PPC ads will be published in the websites, apps, videos etc. The advertiser might also pay for impressions instead of clicks, this is called CPM advertising. The PPL advertising is can be expanded as pay per lead advertising. In this case, the advertiser won’t pay for clicks or impressions. The advertiser will pay only in receiving leads. For example, let us take an insurance company which advertises one of their insurance policies. The advertiser will not pay if the customer visits their page by clicking the ad instead, the advertiser will pay only if the customer fills the form. The form might contain the fields of basic details required to take a policy like a name, address, income, profession etc. The advertiser will have to pay more money for the leads at the same time the advertiser does not have to worry about fake clicks that have no use. Mostly PPL advertising is used by advanced advertisers where lead-based advertising works well. The PPS advertising is similar to PPL advertising, the difference is the advertiser will pay for sale. CPA advertising will pay for actions like downloads, form completion, filling surveys opt-in etc. These are the basic things you need to know about online advertising in digital marketing. Internet marketing is the process of marketing products and services using different sources. You must know that each and everything is interrelated in digital marketing. Advertising is, of course, a part of internet marketing but these are the main categories of internet marketing used by digital marketers. Social media marketing is the cheapest and the easiest way to market products and services. Around 3 Billion people use Social Media like Facebook, Instagram, Twitter, LinkedIn, Pinterest etc. Social Media helps the companies to showcase their products or services in front of potential customers. The meaning of potential customer is the customers who will buy or make use of the products and services advertised by the advertisers. Social Media Marketing is generally free, but there are also paid marketing available on Social Media like Facebook ads. Social Media uses artificial intelligence to display ads based on user interest. For example, previously, if a Facebook user had searched for the shoe in his browser, Facebook will automatically display the ads related to shoes. This increases the chance of conversion rate. Apart from advertising, social media has a lot of features like the fan page, groups, business listing to help businesses to grow their customer base. Email marketing is an old-school technique used in the digital marketing industry. Though it remains old and nothing has changed much in years, it is one of the best marketing technique to grow the business. Email Marketing is very simple, it involves sending marketing email to the subscribers. One thing changed when compared to past is that the email providers have developed their spam filter to stop unsolicited email. Genuine Email marketing still works and it is the best way to reach the customers directly. The content marketing is the process of promoting content across the internet by sharing it in relevant blogs, websites, media. Content marketing is going to be a hard task for digital marketers since it needs the skill of building relationship with professionals. Expert content marketers would have established the relationship already making it easier for them to work with clients. Video marketing is considered the best and reliable marketing strategy. People hate to read articles, but it is easy to let the people know about services using explainer videos. So, video marketing is the best way to reach potential customers very quickly. YouTube is the leading video marketing platform, but there are many other video marketing platforms available to share videos. Video marketing can be applied in social media too. Instagram and Facebook are the best social media for video marketing. The Search Engine Optimization(SEO) is the main category of digital marketing. All the internet business and offline business with web properties should perform search engine optimization to develop their business. The SEO is the process of optimizing the web property to rank it in the search engines for keywords. For example, when a person searches Google to buy shoes, Google will display the results with sites where shoes can be purchased. 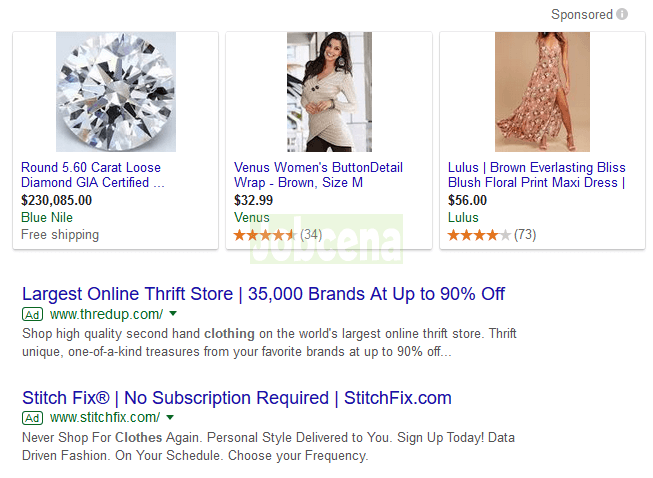 The initial results will the ads based on paid search, the rest of the search results displayed are ranked based on SEO. Search engines like Google will have a set of ranking factors. The websites should be optimized according to the ranking factor in order to achieve the ranking in the first page. Only if the page is ranked on the first page, search users will click and land the website. This is another way to develop business at low cost instead of going for paid search PPC advertising. The On-page SEO is the process of dealing with the on-page elements of a website or an app. This includes website design, speed optimization, content optimization, user experience enhancement, adding essential elements to the pages, reviews, testing etc. The on-page SEO is the most important factor in ranking websites and apps. The Off-page SEO is the process of dealing with the Off-page optimization to rank web properties. Unlike the On-page SEO, the digital marketer will not have full control over Off-page SEO processes. The Off-page SEO completely depends on marketing techniques like content marketing, social media marketing, link building, press release, competitor analysis, etc. This is technical part of SEO yet easy for the experts. Every company/business needs conversion to run the business. The process of converting a person/company into a customer is called the conversion process. Conversion management is the overall process of marketing, optimization, analytics, and conversion. This is the targeted process in digital marketing. With proper optimization, the business can generate more leads and sales. Digital marketers use analytics tools to manage this process. Branding, lead page optimization, improving user experience, offering discounts, making the search easier, fulfilling the desire of customers help to generate more conversions. A/B testing is one of the best optimization processes to find the best performing setup that generates a high conversion rate. Upgrading the property according to the latest technology is also important in the optimization process. The categories mentioned above are directly related to digital marketing. These are some of the jobs indirectly related to digital marketing. Logo designing, Animation, proofreading, spokesperson, programming, market research, writing, consultation, translation, illustration, podcasting etc. You can also choose to be a part of digital marketing even if you’re not interested in directly working on digital marketing projects. These are the basics of digital marketing. If you’ve landed here without an idea about digital marketing, this would have helped you to learn a bit about digital marketing. These are just basic enough for freshers and there are more to learn about digital marketing for experts. Finding online digital marketing jobs is very simple. Tons of opportunities are available on the internet and this is one of the freelance jobs where even the beginners get the opportunity very quickly. It is advised to search for the job in the area of expertise. 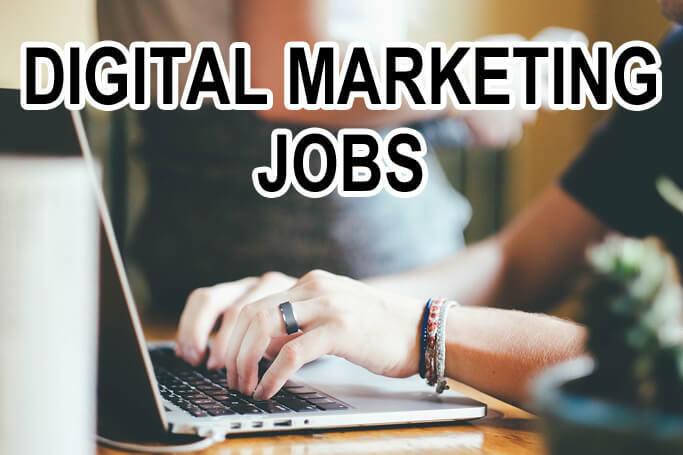 Freelance digital marketing jobs are mostly available in separate categories like “Email marketing campaigns”, “Need to audit the website for optimization, “Social media marketing expert” etc. 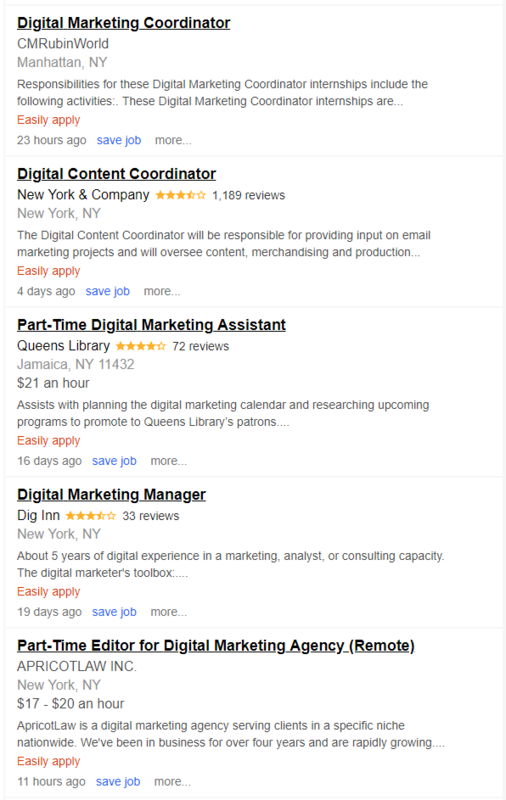 Nobody is going to ask for a digital marketer, instead, the jobs are posted in categories. In the case, if you’re looking for digital marketing jobs to work in a company, then each skill is going to add value to your profile. Here is the guide on how to find freelance digital marketing jobs, part-time digital marketing jobs, and full-time digital marketing jobs. The freelance digital marketing jobs can be searched in the freelance marketplaces. Get hired as a freelance digital marketer by the client, work at your own convenient timing. Know the fact that the jobs related to digital marketing are posted more in freelance sites than any other jobs. So, these marketplaces are the gift for people who are looking for freelance digital marketing jobs. The best thing about freelance jobs is you get a chance to work with people from all around the world. Meet new people, learn more to enjoy the career as a freelancer. Work from home or anywhere around the world. All you have to do is complete the work within the specified period of time with good accuracy. Freelance sites have an option for the clients to rate and review about freelancers. It is very important to gain a positive reputation from the clients to be a successful freelance digital marketer. Finding freelance jobs and getting hired by a client is an art. Every freelance site operates with own set of process. Make use of opportunities available on different marketplaces. Here is the instruction on how to find online freelance jobs. Working as a part-time digital marketer for a client is the safest option. This is the process of finding the digital marketing companies in your location. Indeed.com, Flexjobs are the best job listing sites to find the part-time digital marketing jobs available near your location. Use the search feature in the site to filter the digital marketing jobs, read the description and follow the instructions to apply for the job. Unlike the freelancer jobs, the clients/companies might ask for a degree and certifications to apply for the job. Increase your chances of getting the part-time digital marketing job by completing certification courses. If you’re specialized in a particular field of digital marketing, search precisely to increase the chances of getting hired. If you’re looking for a full-time digital marketing job, the best way to search is using the job listing sites. Search Google for “Digital marketing jobs near me”, go through the search results. Find a job that is suitable for you and apply for the job. Most of the digital marketing company will definitely expect for a bachelor degree, course certifications, and working experience in the hiring process. You can also seek reference from digital marketers who are already working in a company. Also, there are several consultancies where the novice job seekers trained to find jobs. Full-time digital marketing jobs have job security but little exposure. My advice is you must work in a company and be a freelancer at the same time to earn money and gain experience at the same time. Are you interested in becoming an Entrepreneur? Wish to start your own business? Digital marketing is one of the few industries that can help you to start a business without investment. Start your own digital marketing agency, brand your company to earn 5-figure income every month. Digital marketing is so powerful and easiest business in the world that can help you to become a millionaire from zero in the shortest period of time. Brush up your digital marketing skills, work as a freelancer and gain business knowledge by working in the company and start your own digital marketing agency. All you need is a PC or Mac to get going. As you grow, rent a workplace, hire workers to run the business. If possible start this business as a group(partnership) with friends, each person should take care of things in which they are expert. Group work should speed up the process of developing a start-up into an established business. The success in Entrepreneurship and business depend on one thing i.e., uniqueness. Do not imitate others, create your own style, success follows! Digital marketing stays the best stream for youngsters to achieve their goal. Digital marketing business requires very little investment to start. It is one of the highest paying jobs and in the case of business it’s the money generating machine. Hard workers who are looking to find a path to success in life should choose digital marketing. 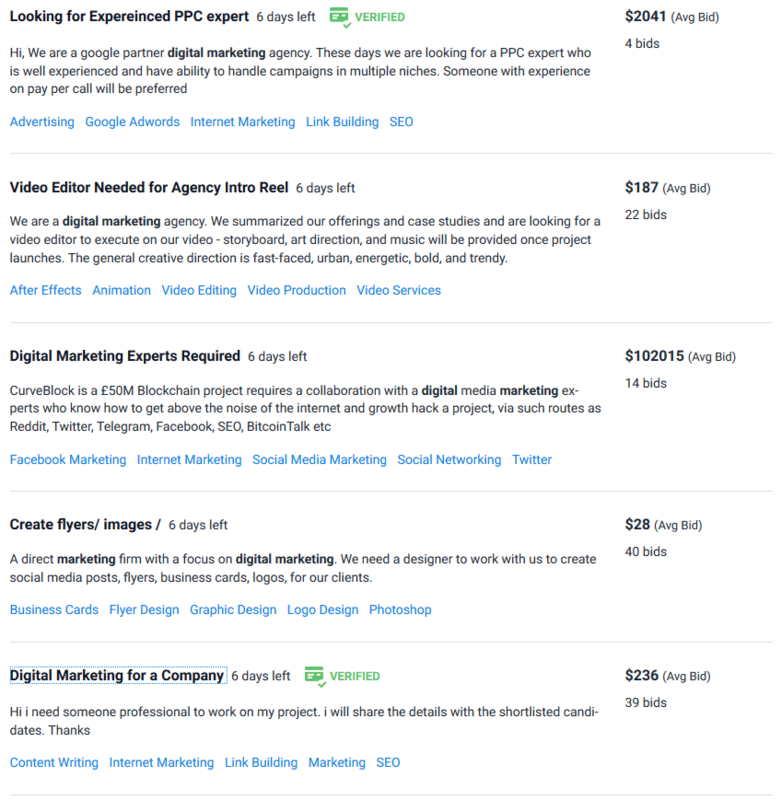 Plenty of freelance, part-time digital marketing jobs are available on the internet. Digital marketing is very easy to learn. Free materials, courses are available on the internet to learn digital marketing. Hundreds of categories available in digital marketing to choose the best that suits your skills. Work from home, office, college or anywhere at the convenient timing. Digital marketing supports people from other industry indirectly. Great future! There will be no downfall for digital marketing in the future. The digital marketing industry has intense competition. Digital marketing trends change every second, it’s important to get updated to sustain in the industry. Small mistakes in digital marketing can lead to a long-term penalty. Often people get confused about digital marketing. Most of the companies hires only experienced digital marketers. Digital marketing beginners are going to have a hard time finding a job. Hope, you would have got an idea about digital marketing and how to find online digital marketing jobs. Feel free to leave your comments to get personalized assistance.